The recent iOS 11 firmware leak includes some vital details about the rumored Apple Watch Series 3. The iOS 11 Gold Master leak shows an image of what the rumored 'Apple Watch Series 3' could look like. The picture in the Apple Watch app, uploaded by MacRumors, shows the wearable device with a cellular connection symbol, which suggests the new Watch will support LTE connectivity. The Apple Watch looks similar to the current devices on sale. It sports a Space Gray body, a matching band and a bright red digital crown. The firmware’s code says the Apple Watch will use LTE cellular network to call and receive calls while the user is away from their iPhone, according to 9to5Mac. There had been confusion on whether or not a separate plan will be needed for the device. The new leak shows users will be able to add their Apple Watch to their current iPhone plan, however it’ll probably cost extra. The Apple Watch will share the same number as the associated iPhone, and the LTE cellular plan setup will be automatic. The LTE Apple Watch could also come with some promos. The firmware suggests carriers could offer free months of connection for device as a one-time promotion. The firmware implies the Apple Watch Series 3 will come in a “blush gold” color (a dark browner shade of gold) for the aluminum Sport watches and a new gray ceramic material for the Apple Watch Edition, according to 9to5Mac. The new Watch could come in 38mm and 42mm sizes, KGI Securities analyst Ming-Chi Kuo said earlier this year. The Apple Watch Series 3 is also rumored to feature a longer battery life and should be water-resistant. The new device could also include Radio Frequency Identification (RFID) tracking, a feature that provides nutritional information. The Watch could also include features like sleep tracking, heart rate analysis, respiratory rate analysis and non-invasive blood glucose tracking. Apple will release its latest update for the Apple Watch, watchOS 4, this fall. The update was revealed at the Worldwide Developers Conference in June. watchOS 4 will come with numerous features, including the person-to-person payments option available on iOS 11. 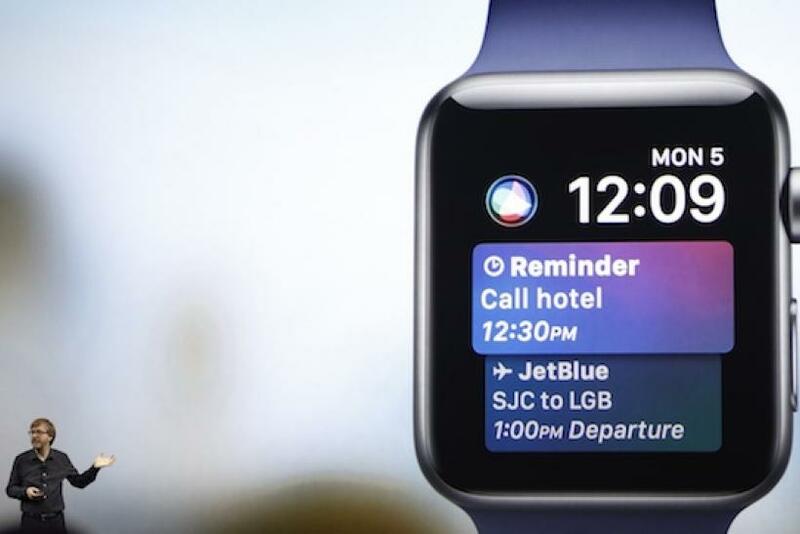 Users will be able to send and receive money using their Apple Watch through Messages. With watchOS 4, users can also ask Siri to send funds to friends and family and request and receive money on their Apple Watch in Messages. The new update will use the NFC chip on the Apple Watch to sync gym data with a tap, which means users won’t have to worry about calculating how many calories they burned throughout the day. The two-way data exchange will be compatible with gym equipment from Life Fitness, MS Artrix, Schwinn, Cybex, Technogym, Stair Master and Star Trac. The price of the device is not yet know, nor the official release date.